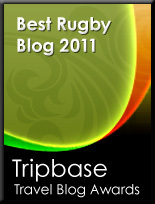 TOTAL FLANKER...a rugby blog: Caveman extinct? News from France where brand spanking new coach Marc Lièvremont has decided to make his mark by leaving national icon Sebastian Chabal out of the France squad to play Scotland on 3rd February. I can see that there's perhaps an argument for building towards 2011, but it does seem harsh that a player who made such an impact with the national team such a short time ago should now be deemed surplus to requirements. The fact that a bloke called Elvis is now firmly rated ahead of him must also be a source of irritation to the large bearded one. Lièvremont is obviously going for a high risk strategy as he's also left out France's best lock, Jerome Thion and their most gifted fullback, Clement Poitrenaud, as well as the likes of Pierre Mignoni and David Marty. That said, if I was a betting man my cash would still be firmly on France to win the Six Nations. You're right that Chabal is no second row and the French scrum is that much weaker with him in that position. Laporte never really worked out how to best use Chabal - he even had him playing openside flanker at one point. France have lacked an aggressive ball-carrying no 8 to make the hard yards for the last few seasons so it's puzzling to say the least. The French will still be bloody difficult to beat in Paris though. Well, one guy who will be happy about Chabal not being called to the French side will be Sale Coach Saint-Andre`-that will save some where and tear on him.